Sing Travel is just south Beijing's CBD, near Shuanjing Station, on line 10. We recommend leaving the station at exit D and following the path shown in the map (right) to building B. The walking distance is 50 metres. Find our office up the elevator on Level 26. Turn left as you get off and turn left again. Look for our logo on the door. 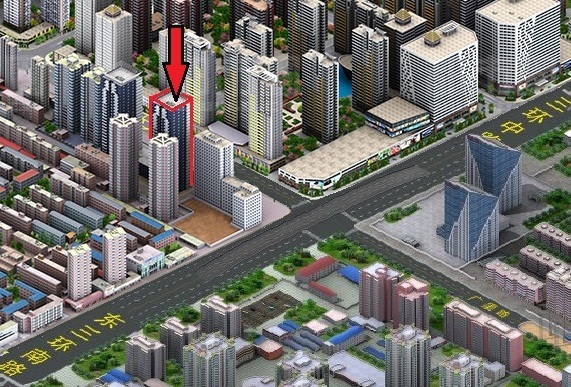 The image below shows where Sing Travel is located in the Shuangjing commercial district.